motoSALE.com for free motorcycle sales - new and used bikes available now! We NEVER, EVER make a charge for advertising motorcycles, spares, accessories and associated products. Unlike many other web based advertising sites, we originally set out to offer FREE advertising because we believe that when you’re selling your motorcycle it’s not YOU that should be writing the cheque! We also believe passionately that dealers should be allowed to advertise for free. If we were to charge them they would simply wrap our advertising charges into the prices of their bikes, and you’d end up paying that amount too. By offering free advertising to dealers we’re doing our bit to keep motorcycle prices down. Other media companies and services charge dealers a small fortune to advertise their bikes for sale ...and it’s YOU that ends up paying that cost. Finally we believe that you’re entitled to expect NO pop-ups, NO selling of your email addressess and NO trying to sell you any other services from third party companies. It’s our absolute guarantee that you’ll never find any of that stuff on this site. We used to be the largest free advertising site in the world. But then somebody, bigger than us in business terms, wanted to make sure that we didn’t carry on offering a free service. We wonder why? The result is that we don’t now have the previous huge volumes of trade ads. We used to charge £6 for six month’s subscription for all buyers. But now we don’t. If you want to browse the adverts you can always do that for absolutely nothing and with complete anonymity. If you want to see seller’s contact details all we ask you to do is register and then sign in when you use the service. You can have access to everything and anything and it won’t cost you a single penny. That’s right, we don’t charge for you to sell or buy your bikes and there’s no third-party advertising on the site. Isn’t that so totally refreshing? Do us a favour please and tell others about this site. We think it provides an absolutely unique service to motorcyclists and we’d like to develop it further. BUT WE NEED YOUR SUPPORT AND USAGE. Keep the cost of motorcycling down - please support us and help us to save YOU money! If you can’t find what you want immediately - register a ‘wish list’ and we’ll let you know the instant something turns up! Check out how both advertising AND buying can be totally FREE! NO geographical limits - European and overseas sellers and buyers WELCOME! Check out our cost comparisons inside to see how much you COULD pay elsewhere to sell your bike! Selling motorcycles is always FREE. Place as many motorcycle adverts as you like (with or without photos), as often as you like and pay NOTHING. 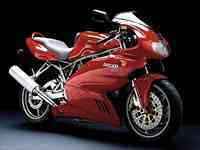 Bike Adverts last for 21 days and can be renewed each time for FREE. If you’re buying new or used motorcycles, browse and search our lists as often as you like for FREE. 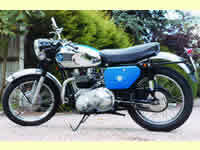 Get the contact details for the constantly changing used motorcycle adverts for free. No advert is ever older than 21 days! motoSALE.com is primarily designed for buying and selling new and used motorbikes and scooters, however we have been asked to expand the system to allow new and used cars to also be entered. We use the same rules and guidelines for car sales as we do for motorcycles sales - you can place as many car adverts as you wish for free, each one with up to 5 photos and held on motoSALE.com for 21 days before you have the option of renewing the advert.